Valentine bookmarks make reading lovely! 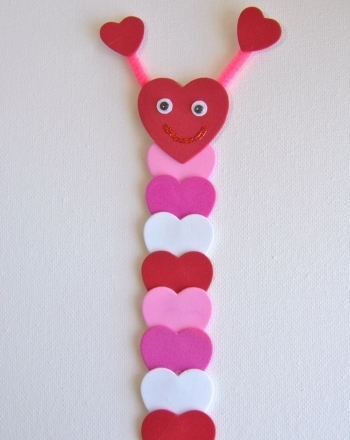 Make a valentine bookmark that looks like a heart-filled bookworm. 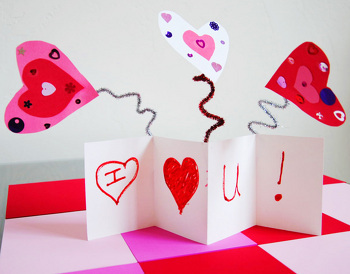 Help your child fall in love with books with this valentine bookmark. 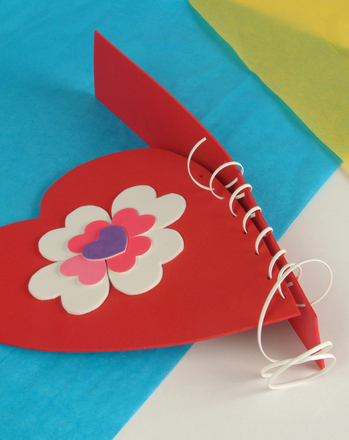 Perfect for bookworms and soon-to-be-bookworms, this valentine bookmark craft is a fun and quick boredom buster for any weekend. Have your child glue the eight small hearts in a row, overlapping each heart slightly. Let her flip the row of glued hearts over. Help her glue the big foam heart at one end of the row. This will be her bookworm's head! Have her glue two wiggle eyes onto the front of the big heart. Let her use scissors to cut off two short antennae from the pipe cleaner. A good suggested length for each antennae is two inches long. Have your child glue the antennae to the back of the bhookworm's head. For the finishing touch, let her glue two hearts to the top of the pipe cleaner antennae. Now all she needs is a good book to put her Valentine bookmark in! 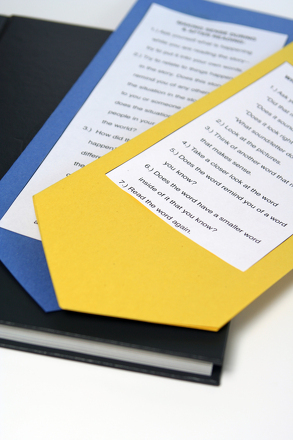 Have your students record new words they come across on this bookmark and jot down what they think they mean.